Oh look, I’m back with ten more movie reviews! (Stop slacking, Alyssa!) If you’d like to get a sneak peek at the films I watch and what I rate them, follow me on Letterboxd! This film from Noah Baumbach features incredible performances from Nicole Kidman, Jennifer Jason Leigh, and Jack Black, but the compelling story is let down by unlikable characters and pacing that makes the film feel longer than it is. Margot at the Wedding follows a woman named, uh, Margot (Kidman), who travels back to her hometown to attend her sister Pauline’s (Leigh) wedding. Margot disapproves of her sister’s choice in a groom, Black’s Malcolm, and their long-buried tensions start bubbling to the surface. This isn’t a bad film at all, but in my opinion, it’s nowhere near as great as some of Baumbach’s other works. If the characters had been more interesting, and if the pacing of the story had been tightened up a little, this could have been on par with The Squid and the Whale. Otherwise, it’s a dark comedy that entertains, but leaves you yearning for more. I had heard nothing but amazing things about Enter the Dragon, so I went in with high expectations. I left the film feeling severely underwhelmed. I know this is one of the most important martial arts films in cinematic history, but I found that the actual story of the movie hindered this from being a great film. The martial arts scenes are fantastic (especially the mirror sequence), and Bruce Lee captivates, but the Bondian plot bored me. A powerful film that chronicles the horrible shooting that occurred at the University of Texas, Tower uses rotoscoping technology, witness testimonies, and actors to recreate the events that happened. At first, the acting felt forced, but as the documentary progressed, I became invested in the people who were a part of this tragedy. I loved that the filmmakers took such a unique approach to create this film, and I was crying by the end. A pleasant surprise, this (mostly) true story about Kumail Nanjiani and his wife had me both laughing and crying. The plot of the film centers on Kumail (played by Nanjiani himself), who aspires to be a stand-up comedian. His parents dream of him marrying a traditional Pakistani wife, but this is complicated when he falls in love with Emily Gardner (Zoe Kazan). What makes things even more complicated? Emily becomes sick and is placed in a medically-induced coma, and Kumail must fight for his love for her, even if that means his career and family are lost. The performances are uniformly excellent, and the story seems so far-fetched that it’s hard to believe this actually happened (which makes it even more incredible). The only gripe I have with this movie is the fact that some of the jokes didn’t personally land for me, but I highly recommend watching The Big Sick. Confession time: for the longest time, I thought I hated this movie, and despised the character of Iron Man because of it. I recently decided to give this film another chance, and immensely enjoyed it. I adored seeing how Tony Stark became Iron Man, and was invested in his fantastic origin story. I WAS WRONG, OKAY?! Iron Man still isn’t my favorite Marvel superhero, and the movie was a little too long, in my opinion, but this is a great film. An interesting look into Lady Gaga’s life and a behind-the-curtains peek into the making of her latest album Joanne, Five Foot Two shows a side of the enigmatic pop star that we’ve never really seen before. She’s vulnerable, dedicated, ambitious, and above all, HUMAN. She suffers from heartbreak and physical pain like the rest of us. Sure, sometimes she’s not extremely likable in this documentary, but if you’re a fan of hers or are interested in the entertainment industry, this is an intriguing look at fame and the business side of the creative field. 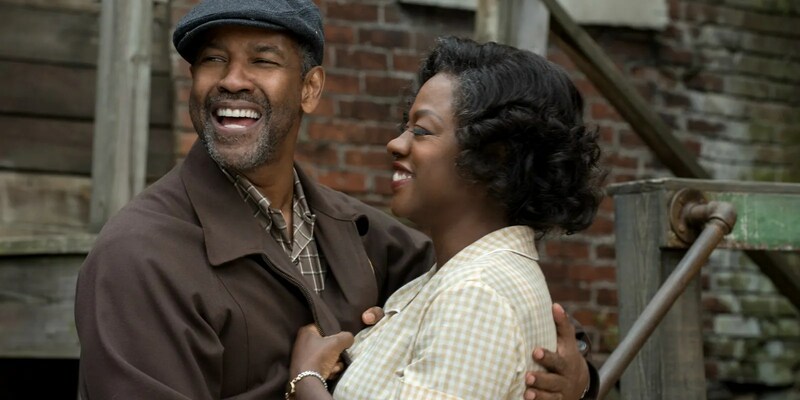 An accomplished directorial effort from Denzel Washington, Fences is adapted from August Wilson’s play of the same name. The story follows Troy Maxson (Washington), an alcoholic husband and father who used to be an aspiring baseball player but is now a sanitation worker. His resentment causes him to lash out at his family, and puts his family through emotional hell. Troy is not a likable character at all, but he’s human, and Washington acts his heart out in this role. Viola Davis is wonderful as his beleaguered wife Rose, and the supporting cast bolster this film. You can definitely tell this was originally a play, though. The pacing is quick, and there’s not a lot of room for the characters to truly grow. Time passes in the movie, but it doesn’t feel like it. This was the only thing that held back Fences from being a truly great film. When I saw that this movie starred Jeffrey Dean Morgan and Gael Garcia Bernal, I had some hope that this would be entertaining. Sadly, it’s just average. Morgan plays a man named Sam, who “hunts” immigrants crossing the border into the United States. Bernal portrays Moises, a man who wants to live in a better life, and ends up in Sam’s crosshairs. This is a typical cat-and-mouse thriller with a predictable plot, but it’s got a powerful message behind the popcorn action: everyone is equal and should be treated with respect and love. I had no idea what to expect when I started this film, and when the credits rolled, I was a mess of emotions. 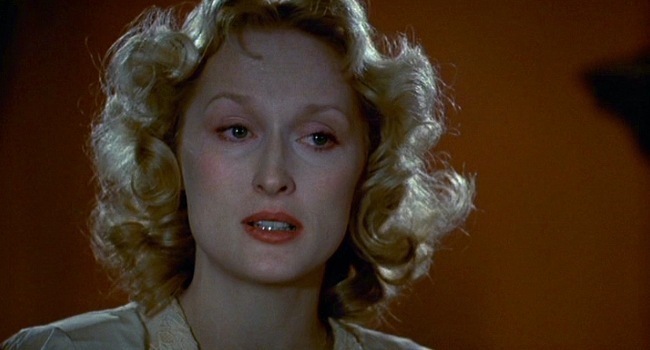 This is a powerful film featuring incredible performances from Meryl Streep and Kevin Kline, and the story focuses on Stingo (Peter MacNicol), a writer who moves to New York and meets Sophie (Streep) and her boyfriend Nathan (Kline). He soon learns about Sophie’s heartbreaking backstory, and this is where the film truly shines. A must-watch film for any cinema lover. Another Noah Baumbach film that I have conflicted feelings about. On one hand, I adored the story of Frances (Greta Gerwig) and her struggle finding her place in the world and the black and white aesthetic, but I wasn’t crazy about some of the acting. It felt forced and unnatural at points, and this pulled me out of the film. I enjoyed Frances Ha overall, but I couldn’t make myself love it, even though I really wanted to. Next Post September 2017 Reading Wrap-Up!